How are we going to celebrate winter! 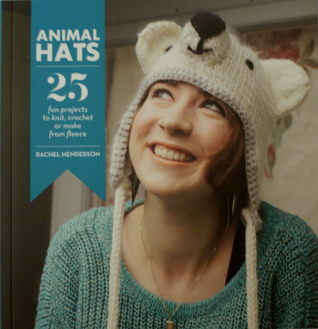 I know by getting a book that has 25 amazing animal hats for you to knit, crochet or make from fleece. This book teaches you how to knit, crochet and craft them, it is full of tips and ideas. So what hats can you make? A Polar Bear hat- with ear flaps even. There is even some for the kids- A fleece fish hat!